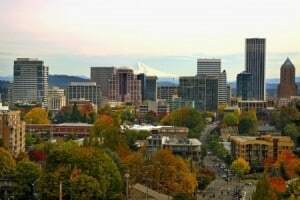 PORTLAND, Ore. (AP) — Portland city commissioners have made permanent a program that requires landlords to pay renters’ moving costs if they are evicted without cause or forced to move because of a rent increase of 10 percent or more. The Oregonian/OregonLive reports the program is designed to address Portland’s escalating housing and homelessness crisis. The program had been used on a trial basis for a year before commissioners made it permanent Wednesday. The permanent program adds a laundry list of new ones that will allow some landlords with a single unit and other landlords meeting certain conditions to avoid paying tenants’ relocation costs. Wednesday’s vote comes after commissioners heard hours of testimony on the program last week. Supporters said the program has helped tenants avoid big rent hikes and costly moves. Some landlords said the rules hampered their ability to issue a no-cause eviction against bad tenants.